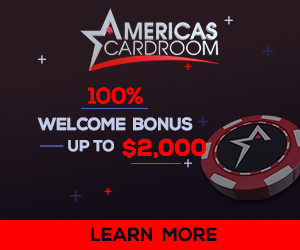 Welcome to KickAssPoker.com. Long trusted by poker players since 2003, KAP's legit online poker reviews and ratings have helped tens of thousands of poker players find the best online poker sites and we will do the same for you. Why seven? Seven wonders of the world, seven seas, seven is the number we strive to please. With choices amongst seven reputable sites, you the player has the leverage. KAP started as a place to keep track of the latest from the world of online poker. Linking to interesting poker news stories from around the web. As we began playing more online poker ourselves we began adding reviews of the most popular poker sites. Today that tradition continues, just with a lot of upgrades and more user interaction. We encourage user reviews, ratings and comments across our content. We update our top 10 poker lists on a monthly basis, even if we do not have to 10 choices to give you. Take your time and find the best place to play real money poker online in 2014. Recently we have focused on listing the best online poker sites available for you to play real money at today. Our poker reviews are full of user comments and ratings so you can find a true perspective of what the poker room is like before deciding to play there yourself. Our toplists are updated monthly to help you find the best place to play poker online today. KickAssPoker has been online since 2003 and has earned a reputation that you can trust. If you are ready to get started, use one of the links below.